The Parent Council (PC) is the facilitating body for the Parent Guild (all parents). The Council serves as the leadership team for the Parent Guild. 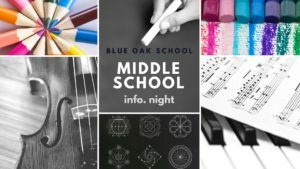 PC meetings are a forum for discussion, focused on matters concerning the health of the community and culture of the Blue Oak School. These discussions may result in actions designed to deal with a situation or recommendations to the faculty and/or administration and/or Charter Council for their consideration and/or action. Early dismissal at 12:30 (Grades 1-5) and 12:45 (Grades 6-8). Registration Days are for all new and returning families. Drop in times are August 15, 7am to 10am and August 16, 5pm to 8pm. The picture days for this year are Tuesday, September 12th (Grades K-3) and Wednesday, September 13th (Grades 4-8). The make-up day is Thursday, October 19, 2017. Join us on Thursday, September 14th, at 6pm in the Great Room for our All School Meeting. 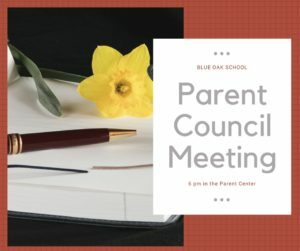 Childcare will be provided for Blue Oak Students at the ALL School Meeting - email summer@blueoakcharterschool.org to sign-up or stop by the front desk. Join us on the play-yard at 10:00am and help use your skills to make it beautiful for our children. The picture days for this year are Tuesday, September 12th and Wednesday, September 13th. The make-up day is Thursday, October 19, 2017. Grades 1-8 will parade the yard and show off their costumes on the back play yard. Teachers will communicate with their classes as to whether children can wear costumes to school or if they'll change into their costumes at recess. Reminder of NO media, gore, weapons, or masks for school costumes. Also, PLEASE do not send candy with your child for snack or lunch in the days following Trick-Or-Treating as it does not set children up to be their best! Parent conferences will be held November 15-17. Grades 1-8 will have half days (12:45pm release). 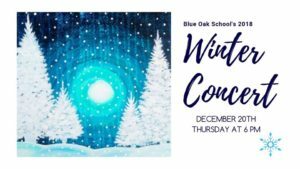 Our annual Winter Concert will be held December 14th at 6:00pm in the Great Room. Interested in enrollment for your kindergarten age student for next year? Come meet our teachers, and see what it's like to spend time in our Waldorf Inspired Kindergarten Classrooms during a Morning in Kindergarten. 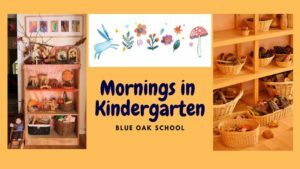 Mornings in Kindergarten 2018 Saturday Jan.13, 2018 10am-noon Saturday Jan. 20, 2018 10am-noon Saturday Jan. 27, 2018 10am-noon Families must call the Blue Oak School Office to sign up 530-879-7483. Space is limited. Therefore, we ask that families only sign up for one weekend. Thank you. Interested in enrollment for your kindergarten age student for next year? Come meet our teachers, and see what it's like to spend time in our Waldorf Inspired Kindergarten Classrooms during a Morning in Kindergarten. Families must call the Blue Oak School Office to sign up 530-879-7483. Space is limited. Therefore, we ask that families only sign up for one weekend. Public Meeting | Parent Center The Blue Oak Charter Council (BOCC) meets regularly at 6 pm on the 1st 3rd Monday of each month. From time to time it may need to be rescheduled. 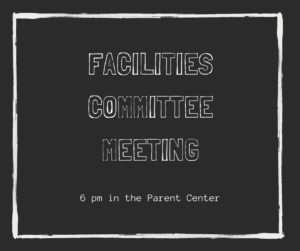 Public Meeting | in the Parent Center This Committee is an advisory committee to the the Charter Council (BOCC). It meets regularly on the 1st Monday of each month. From time to time it may need to be rescheduled. 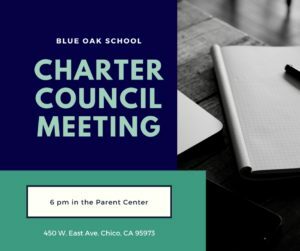 Public Meeting | in the Parent Center | The Blue Oak Charter Council (BOCC) meets regularly at 6 pm on the 3rd Monday of each month. From time to time it may need to be rescheduled. Special Strings concert to celebrate all the work the kids have done thus far, hosted by Carol Fegte. To wrap up our Read-a-thon and have a little fun, we have designated this day as a dress up day. 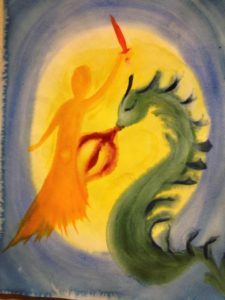 Adults and children alike are invited to dress up like their favorite literary character. This is entirely optional. Have fun with it! CUSD Public board meeting at MARSH Jr.High multi-purpose room. This is the meeting where they will vote on our Charter Renewal. 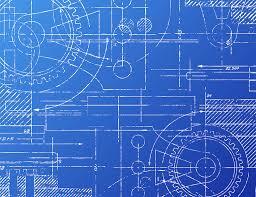 Once the meeting agenda is posted you will be able to review it on their website. Please plan to attend this meeting to once again show your support for Blue Oak. For more on the Charter Council Meetings click here. Board games, music, dancing, boffers, and ladder ball. Tickets are $12/ family (up to four) and $2 for each additional family member. There will also be baked goods and treats for sale. Tickets will be on sale after-school in the front of the school or you can reserve tickets by e-mailing Mr. Meier at nickmeier@blueoakcharterschool.org. 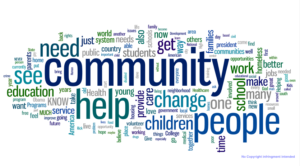 For more on the Parent Council click here. 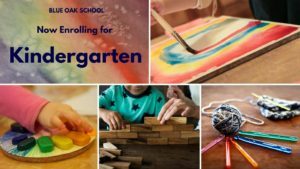 Join two of our Kindergarten teachers and experience a Waldorf inspired Kindergarten. 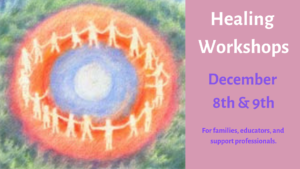 This is an opportunity for you and your child to come together and have a shared experience. Space is limited, so we do ask that you register ahead of time. You can do so by emailing summer@blueoakcharterschool.org, calling 879-7483, or see Reception staff. Our annual Spring Concert will be held May 10th at 6:00pm in the Great Room. Join us at 6 pm on Thursday June 7, at CARD Center Rose Garden, to celebrate our graduating 8th grade class. Join us on the back play yard for our closing ceremony on June 8th, 11:45am. The first grade students will send off our 8th graders with roses and well wishes. The ceremony will finish with the grand handshake. (day 2) Please plan to attend one of our two planned ALL school Registration days. All parents of returning and new students need to come to update paperwork for the upcoming year. It is also a good opportunity to learn about any new programs or changes for the new year. Annual Winter Concert will be held in the Great Room Grades 3rd - 8th will be performing at this concert. Concessions will be sold starting at 5:30 pm and open after the concert.